Sharks are one of the scariest creatures that everyone fears when dipping their feet into the vast blue ocean. Thanks to their portrayal in movies, sharks have gained a reputation for being the most ferocious characters of the sea because of their razor sharp teeth. Before you decide to hate and fear these creatures, make sure you are equipped with the facts first. You might want to take a bite out of this before a shark takes a bite out of you. Due to global warming, more people are spending time in the sea for conservation efforts. In addition to that, major sources of the shark’s food, like sea lions and seals, have migrated to North American shores. It can be deduced that the fewer sea lions and seals are found, the more frequently shark sightings are reported. What most people don’t know about sharks is that they are selective when it comes to choosing their hunting ground. They study an area and keep close watch without being seen. They do this to increase their chances of successfully victimizing their prey. Many shark attacks have been reported at New Smyrna Beach, Florida. Each year, this place is frequented by fishermen, surfers and tourists. Take note that there haven’t been any fatalities at this beach. Sharks, after all, are wild creatures and anything that humans consider affectionate could send the wrong signal to them. By nature, humans try to push the boundaries to test the limits of an animal. More often, it doesn’t end up well. 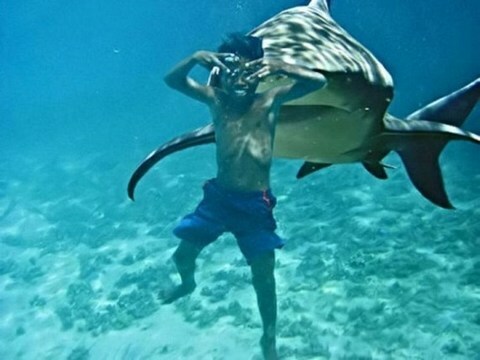 Contrary to what people may think, shark attacks are more likely to occur in shallow waters. This is because a few species of sharks normally feed in this area. Others give birth in shallow waters, and humans could be interpreted as a threat to their young. A shark incident that involved five people occurred in 1916. It was presumed that there were human remains in a great white shark that was cut open after a shark hunt was ordered. Years later, the great white shark was adapted in the movie Jaws and has carried its reputation to this very day. Based on a study, it was concluded that male swimmers were more likely to be attacked by sharks compared to females. It was found that a whopping 84% of these attacks within a span of three decades were male. Additional information collected through other studies showed that swimmers are more likely to be attacked if they’re wearing black and white wetsuits, if they’re within shallow waters measuring up to 2 meters, or if it’s a new moon. Sharks are naturally curious creatures and if they want to examine something, they observe it and take a bite out of it. Seals are a good source of fat, and sharks spend most of the time looking for them. 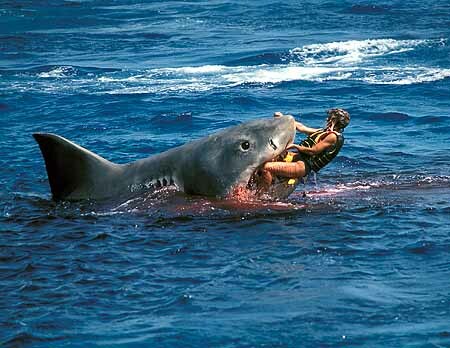 If a shark has bitten a human, it is likely it won’t finish the meal. Whitetip sharks are common within the area and have gained a reputation for attacking distressed or wounded humans. 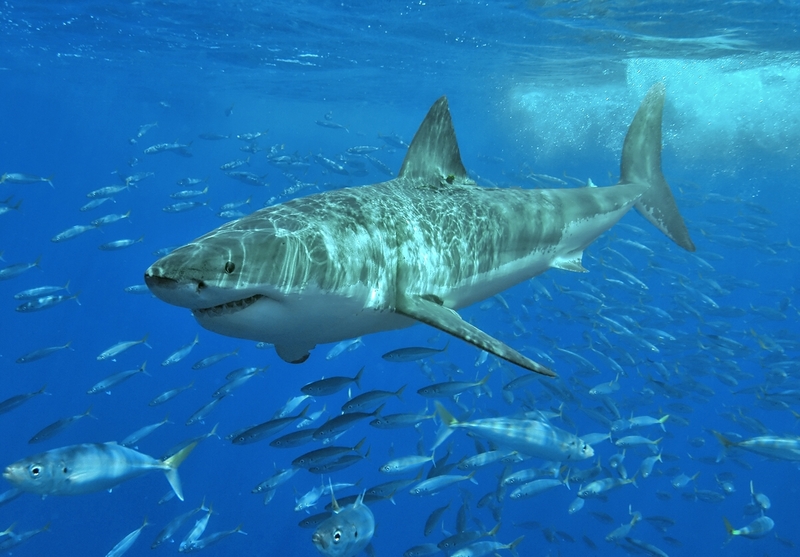 Another cause of these attacks is that there is more competition for food, and sharks have turned more aggressive when locating it. This is probably not a good idea and will increase your chances of getting a body part ripped off. If you ever find yourself in this situation, aim for the eyes.